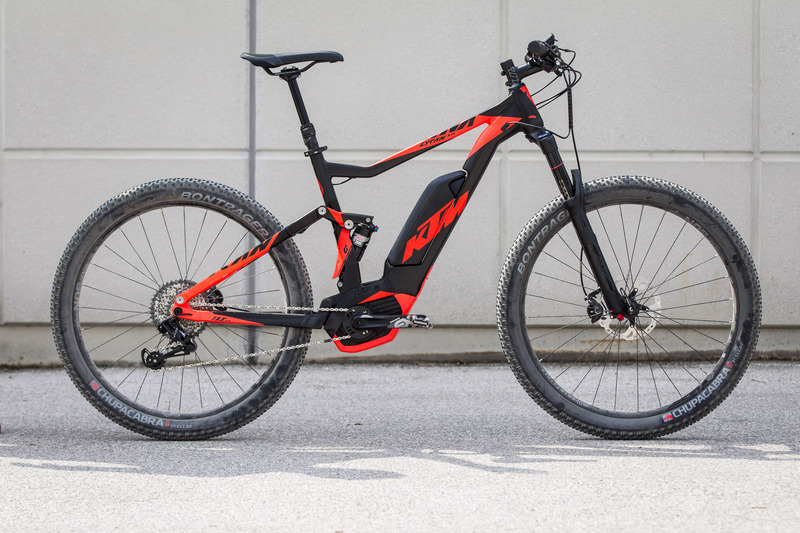 KTM Bikes, the established Austrian brand from Mattighofen, has dedicated a significant amount of time to the development of e-bikes since the early days of electrified assistance. 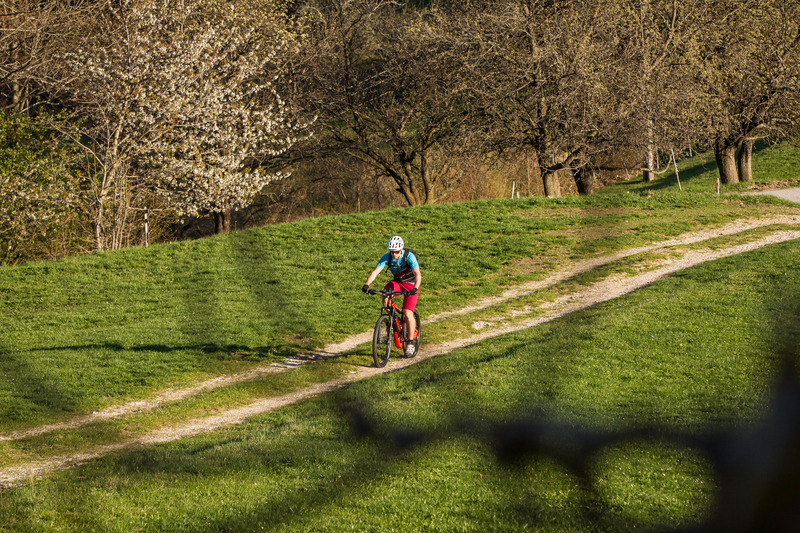 Covering trekking-, kids- and mountain bikes in versions of 25 and 45 km/h, their lineup expands into almost every bike category. Due to ever-growing demand, their e-bike specific storage facility sits empty most of the year. More than once were we able to take a spin on some of their models at various testivals but it was always difficult to get a real feel for the e-bikes. This spring, a Macina Lycan 271 8s EX1 was sent to our office for a full inspection, equipped with Bosch's Performance Line CX middle engine. Promoted as an all-rounder, the Macina Lycan is said to entertain from after work loops all the way to crossing over the Alps. We gave it a shot - well, at least we rode a bunch of after work laps. We opted out of hopping from hut to hut for multiple days due to the unexpected onset of winter. 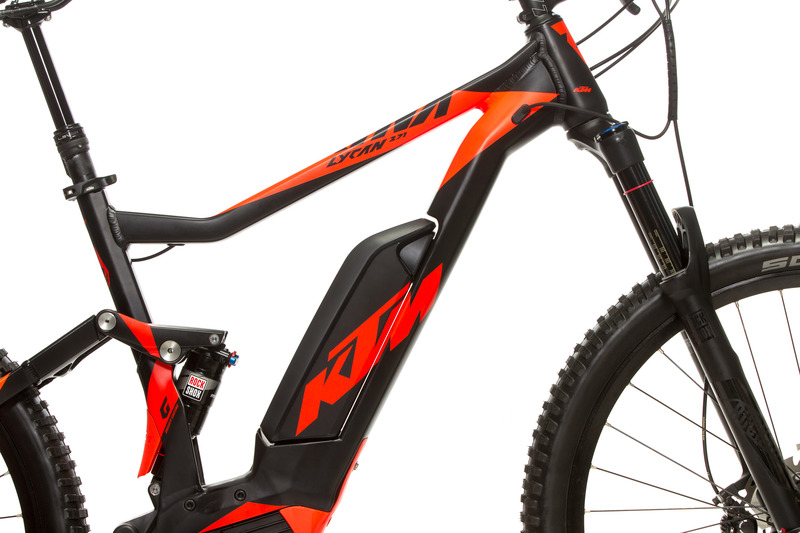 The family name Macina is synonymous for KTM's electrified bike-lineup. Regarding the Macina Lycan 271 8s EX1, we are talking about a Performance Line CX engine with a powerful 500 Wh battery pack and Intuvia LCD display. 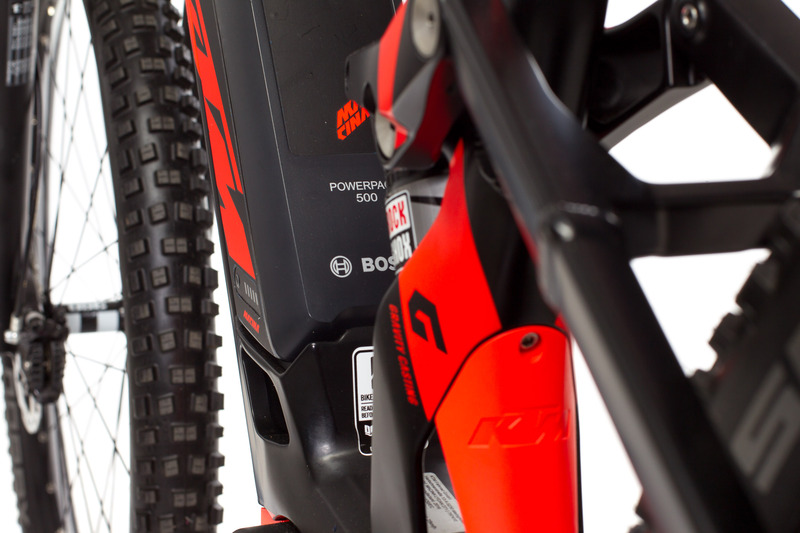 Additional key elements of the aluminum full-suspension bike include 130 mm of front wheel travel and 125 mm of travel at the rear. 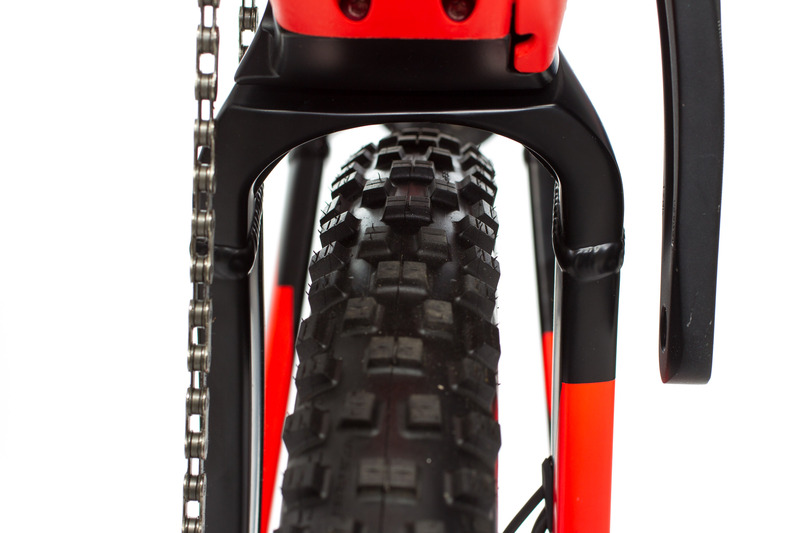 In terms of wheels, we are looking at a setup with regular 27,5" by 2.35" tires. 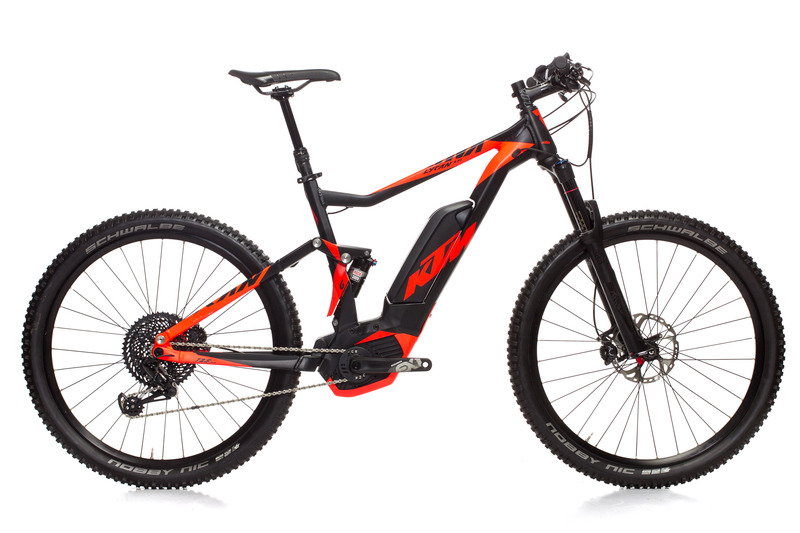 Introduced in 2016, the Bosch Performance Line CX represents the beating heart of the Macina Lycan 271 and can be found on at least one model out of each of KTM's electric product segments. 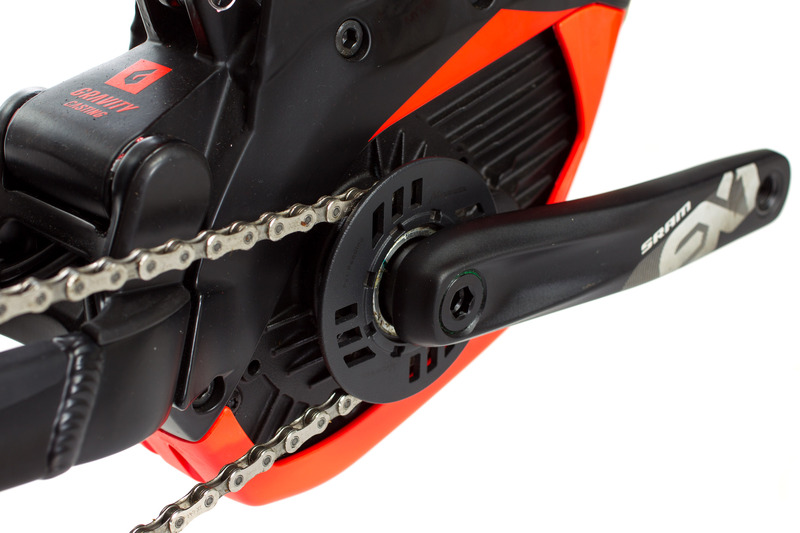 Providing up to 75 Nm of power, the 250 watts motor offers four modes – Eco, Tour, Sport and Turbo – resulting in 50, 120, 210 and 300 % of pedal power support. 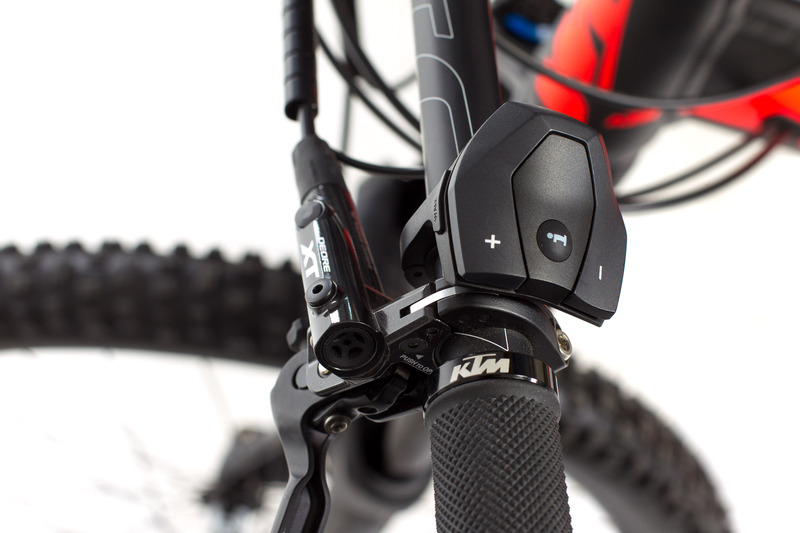 The CX is supporting the rider up to a maximum cadence of 120 rpm, beyond that the system is not offering any extra assistance. 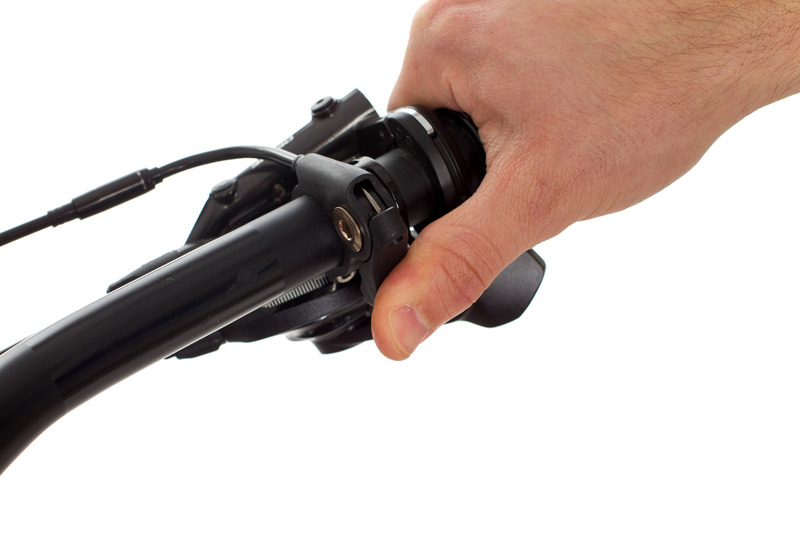 Engaging the trigger shifter with your thumb immediately sends a signal to the system, which in return reduces a bit of power. 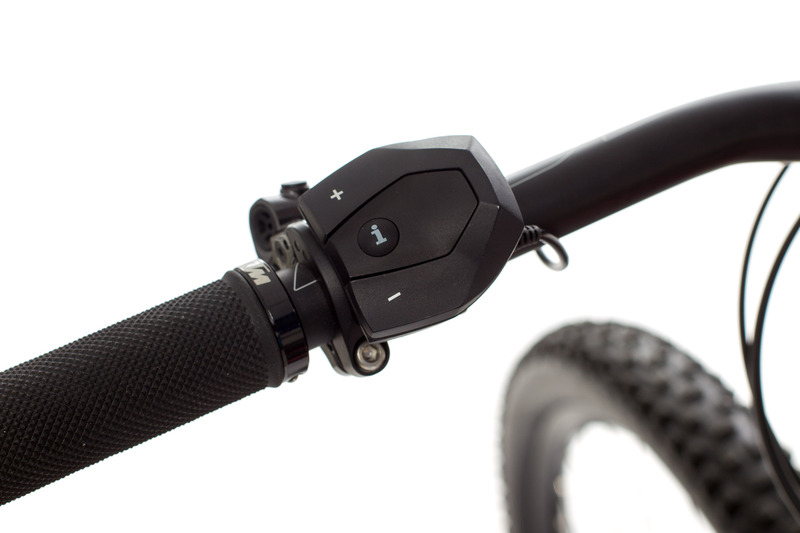 In combination with Sram's EX1 shifting group, which was specifically designed to cater to the demands of e-bikes, wear should be reduced significantly. Because of the legal situation in most European countries, the engine cuts out at a speed of 25 km/h. When manipulating the magnet that records the speed, your mechanical tailwind cuts out entirely. The weight of the Bosch middle engine weighs a bit under four kilograms. Together with the 500 Wh power pack, hardware and the easy to read Intuiva display the total system weight comes to about seven kilos. 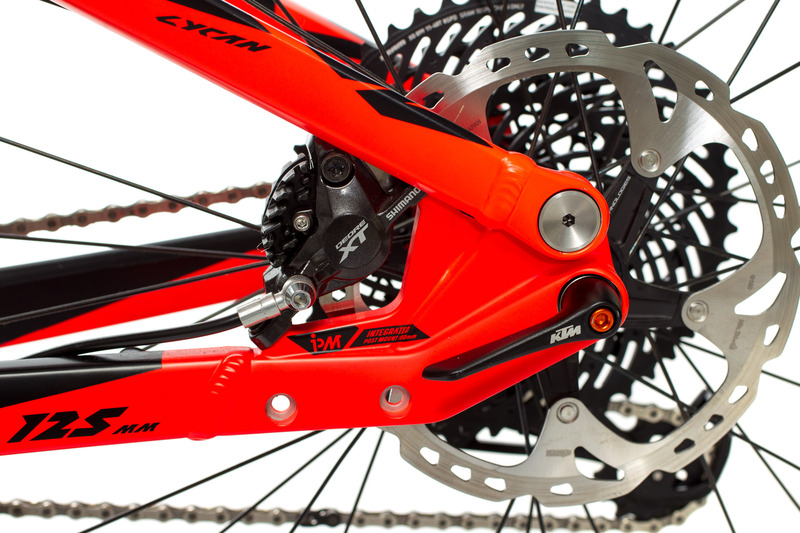 In terms of spec, KTM's product managers picked a well-assorted mix of Sram/RockShox and Shimano components. 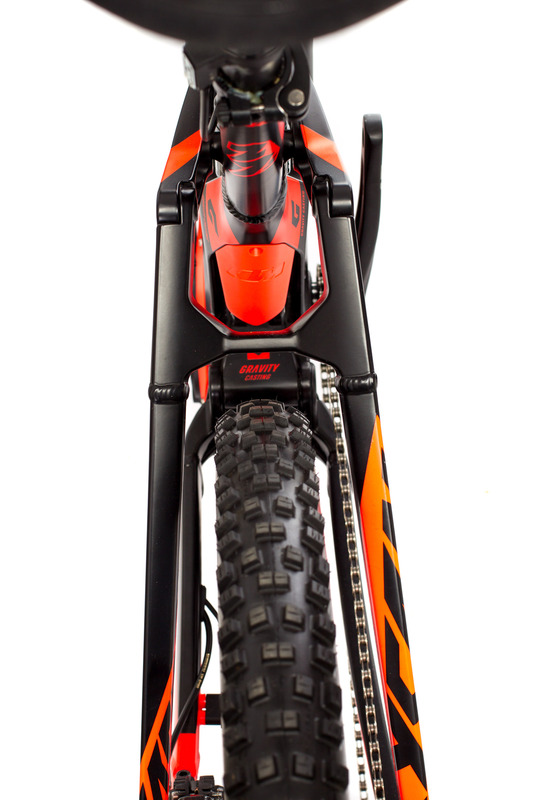 The rear end is being suspended by a RockShox Monarch RL while the steer tube holds an e-bike worthy Pike RC with 130 mm of travel. 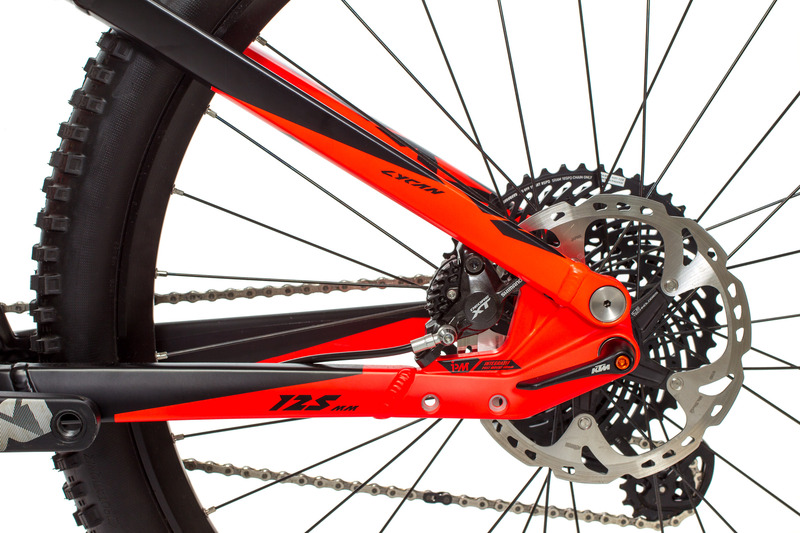 The Macina Lycan 271 is the top model from the model series and equipped with Sram's EX1 complete drivetrain. With single shifts only, you can navigate through the eight available gears. Why eight and not twelve? And why no multiple shifts? 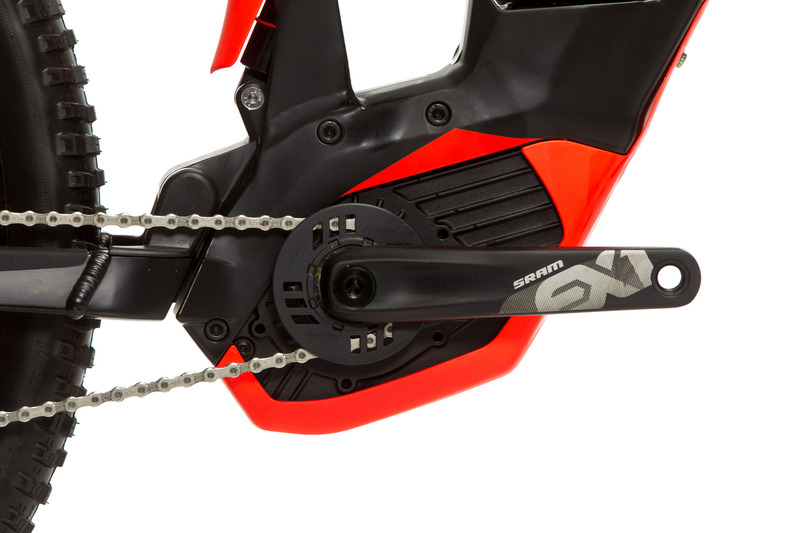 Well, Sram has dedicated the EX1 to the ever-growing e-bike market and in order to deal with the higher forces of the motor, eight gears (11-48 t) with increased chain wrap on the climbing cogs have proven ideal in terms of longevity. The single shifts protect the teeth as much as they can from damage caused by the engine system. 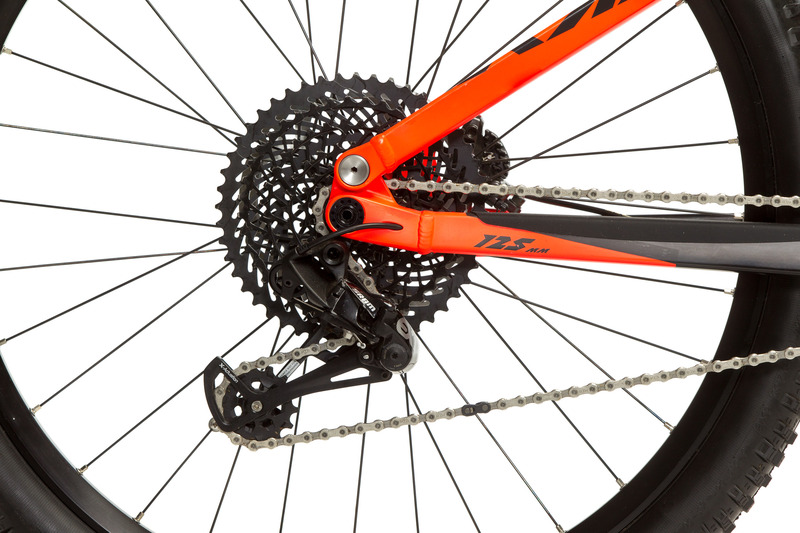 The specifically designed cog architecture even allows for quick shifting under full load – step by step, that is. Over the past few months, this setup has served us well and we can't complain about missing any gears in the selection or function itself. When accelerating quickly, you also must come to a stop again. 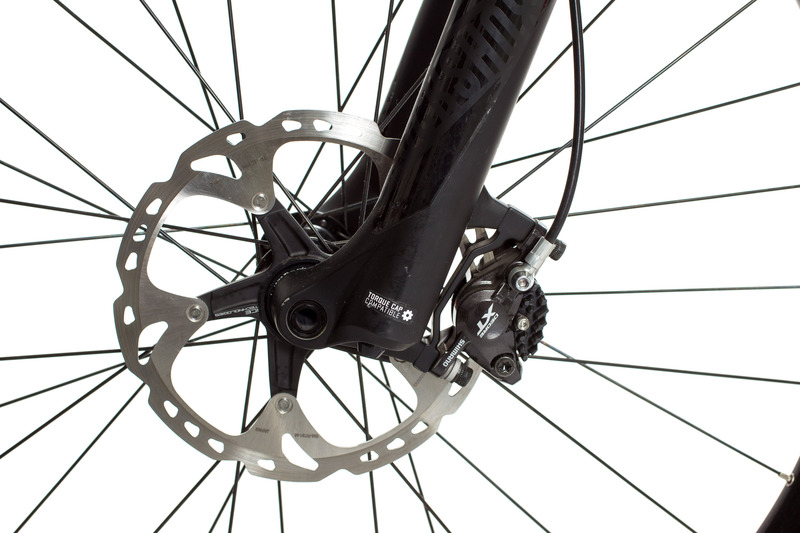 Shimano's workhorse XT 8000 with 180 mm discs front and rear is responsible for that job. 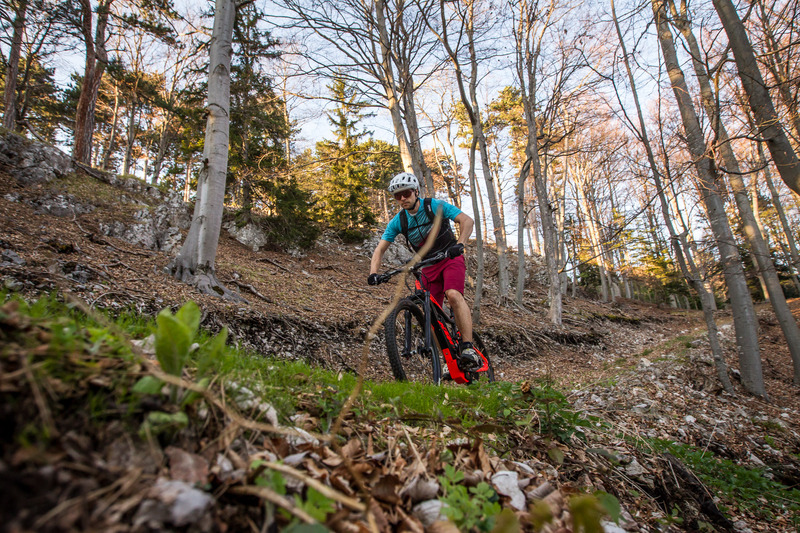 Living in a mountainous area or for heavier riders that add to the rather hefty weight of the bike, an upgrade to 200 mm size rotors could be considered. 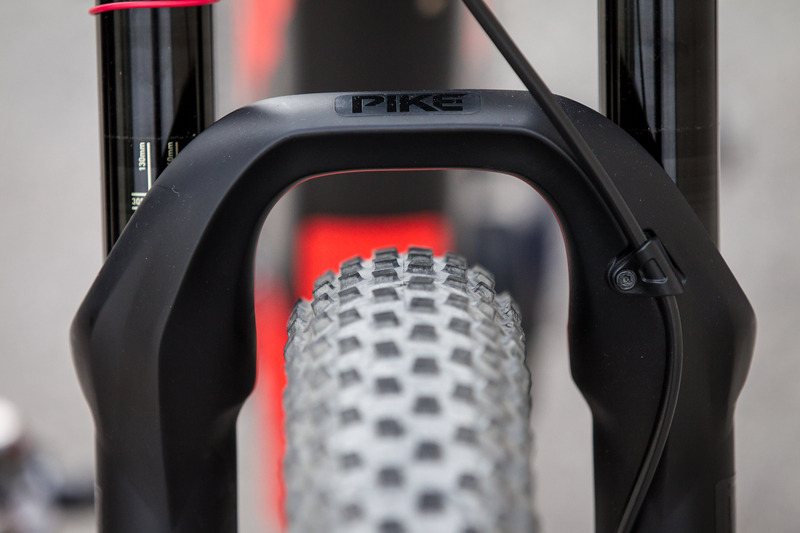 The stiff Pike can easily take the next step up in disc diameter, and so can the structurally rigid rear end. 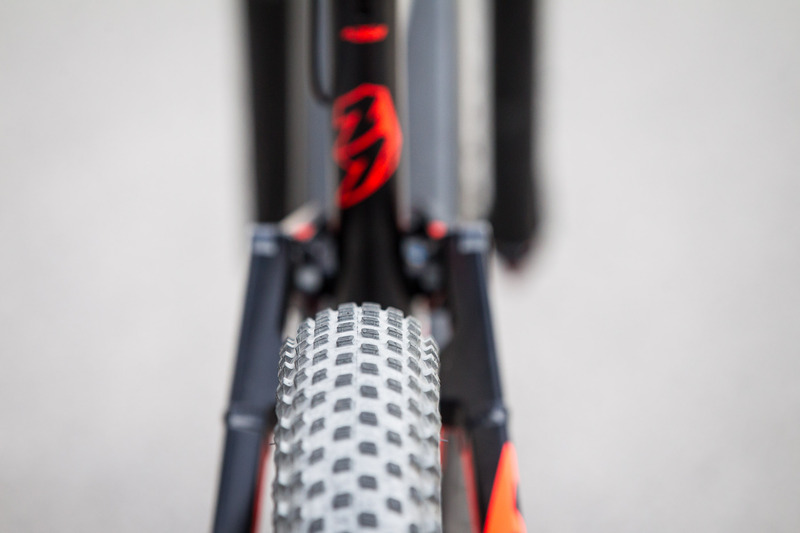 In terms of wheels, KTM is banking on its KTM Line 27.5" BB Tubeless model, which is built from DT Swiss E512 rims coupled with DT 350s Classic hubs. 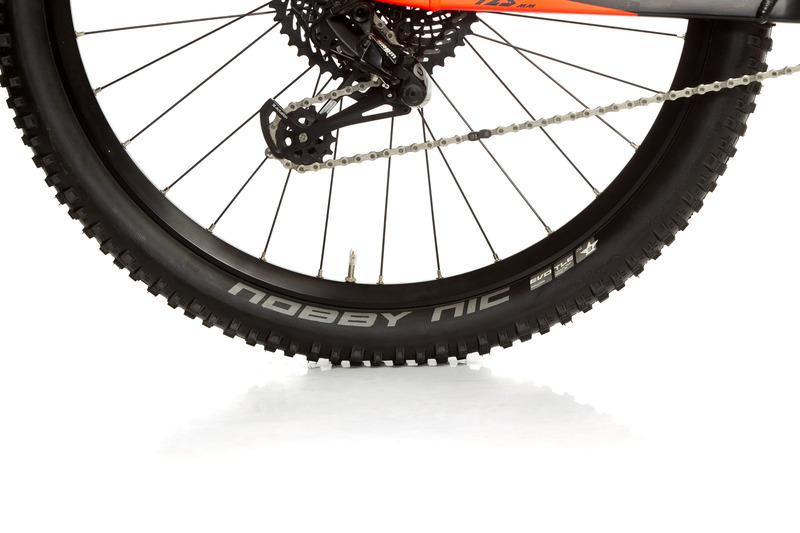 Schwalbe Nobby Nic tires are hooked up to the rims. 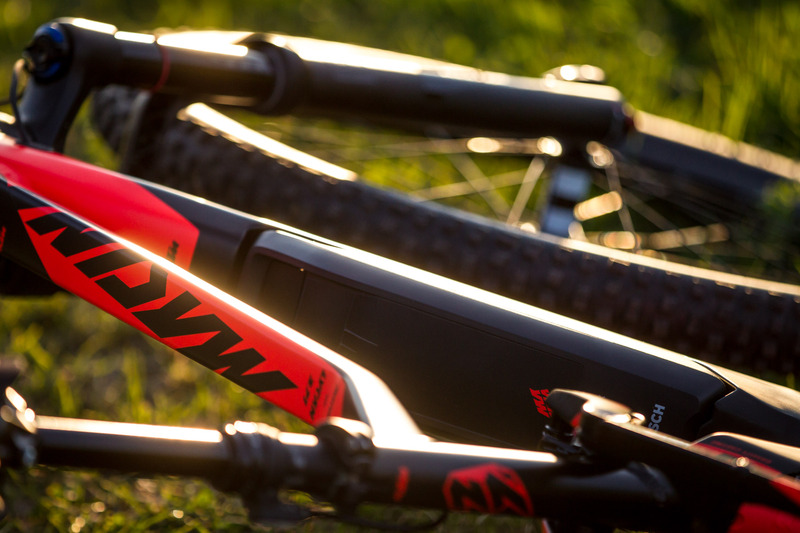 Handlebar and stem are part of Ritchey's WCS Trail Series. 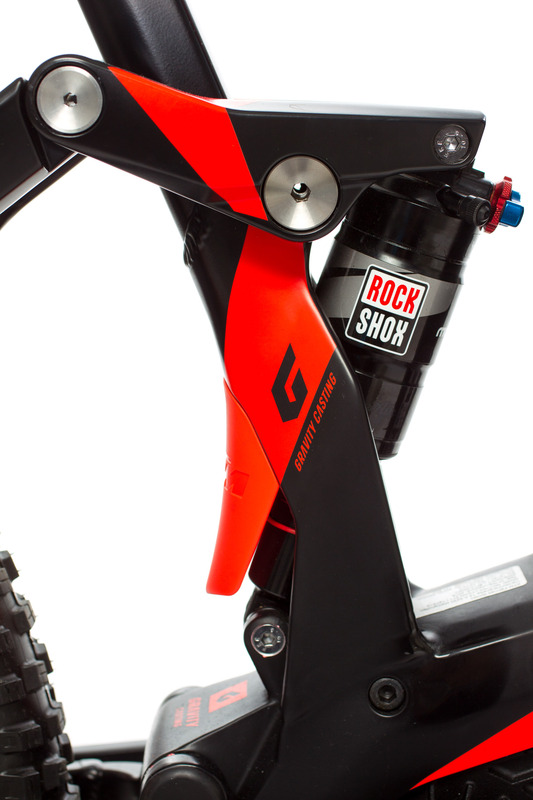 A Kindshock LEV-DX telescopic seatpost with 100 mm of range and a Fizik Gobi M7 saddle are also part of the list. 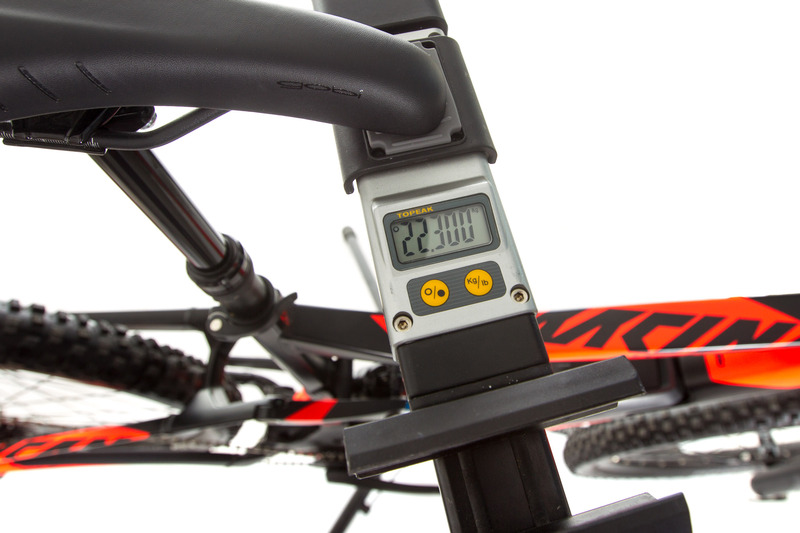 In size 19" the Macina Lycan 271 hits the incorruptible Bikeboard scale at 22.3 kg, the exact number of its claimed weight. 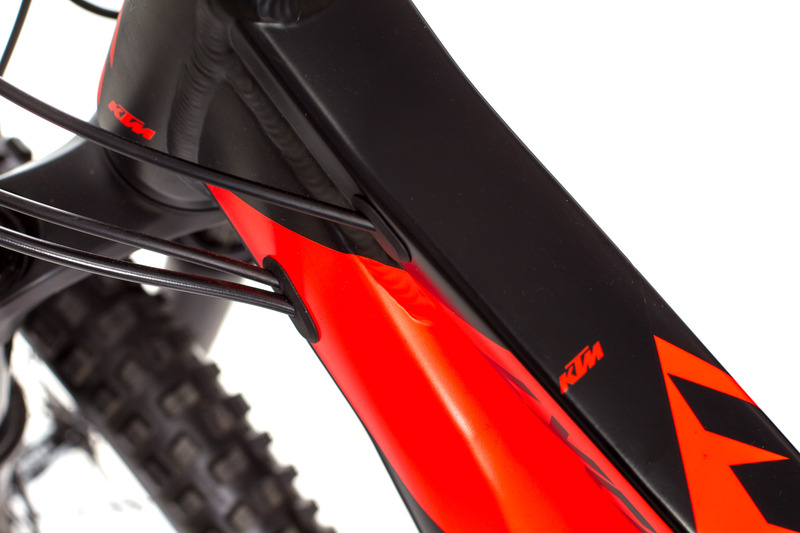 When it comes to frame integration, KTM is pulling out all the stops in a technological sense. Hydroforming, drop forging, CNC-machining and gravity casting are all part of their modern production process. 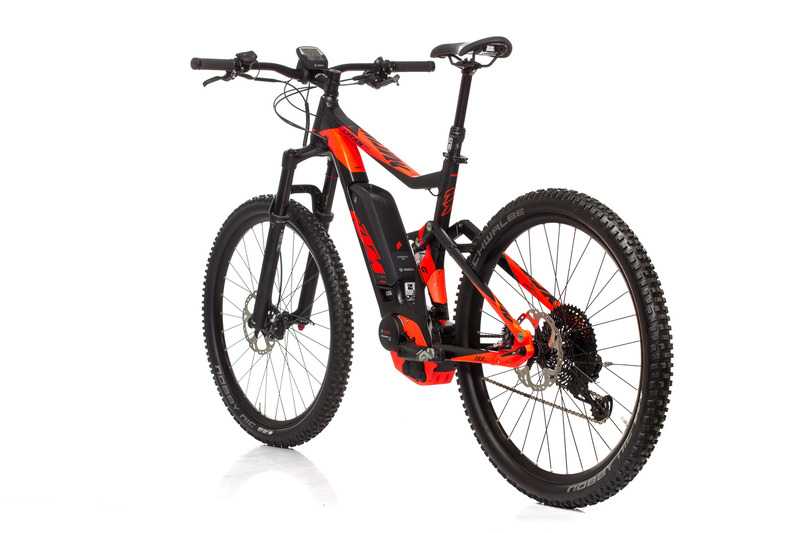 The overall design is focused on functionality, with the motor and battery pack sitting as low as possible inside the frame. 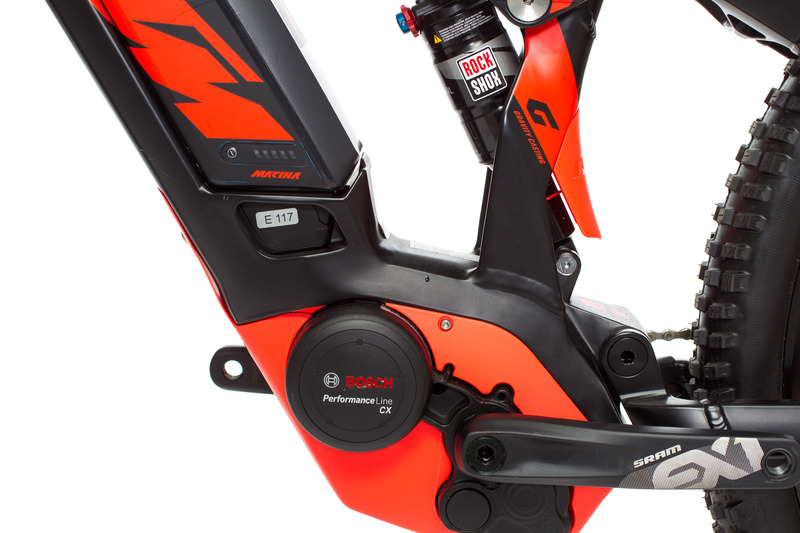 Because of using parts from Bosch, the integration might not look as refined as that of some of their competitors, but KTM's approach allows for the use of the original Bosch components without altering them. To allow for enough room for the motor housing itself and to also reduce the drive influence of the strong Bosch motor, the Pedal Optimized Pivot damping system, or short P.O.P., has been developed. Size: 16" 17" 19" 21"
A few hours later, during a well-deserved #lunchride, a remorseful and lonely Styrian digs his way through the Wienerwald. Where blown by the wind, snow hits the bottom bracket and trails and fire roads aren't really discernable from the rest of the forest anymore. Having cracked under the load of the snow masses and the forces of the heavy storm of the preceding day, many shattered trees add to the surreal scenario. At the beginning of the test period we could still (or should we say already) ride in shots. Jumping on the KTM, it immediately lets you know where the journey is headed. Being overly stretched and fighting with back problems while hunting for a new record time or rushing through the forest all sweaty and gasping for air just isn't its thing. The Macina Lycan 271 rather wants to enjoy the scenery, explore new grounds and experience everyday adventures. In that regard, you're sitting comfortably upright on the e-fully. The seat height is elevated minimally above the bars and with a rather short top tube length, long stem and a handlebar with plenty of rise, the upper body is kept rather upright. 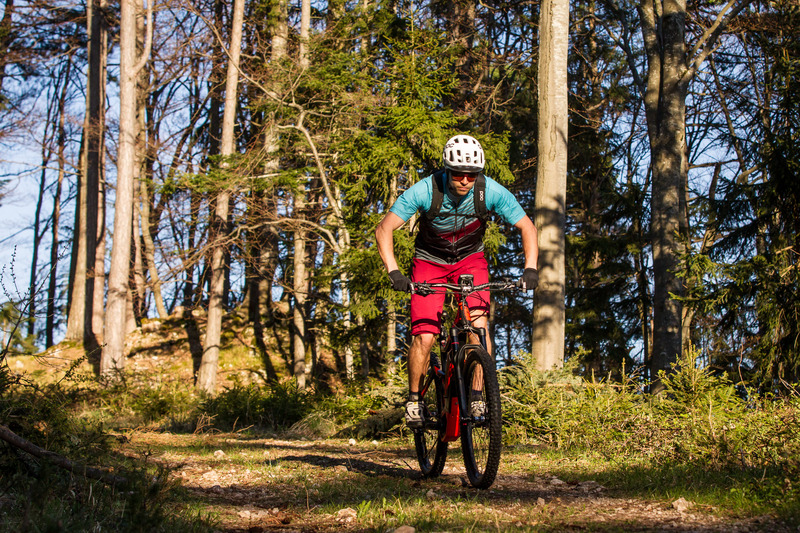 Switching to the Macina from sportier setups, you might find yourself confronted with the impression of sitting very high and a bit detached on the bike. After a short adjustment period, that feeling is quickly set aside, though. Extended rides? Not only thanks to the artificial tailwind not a problem. 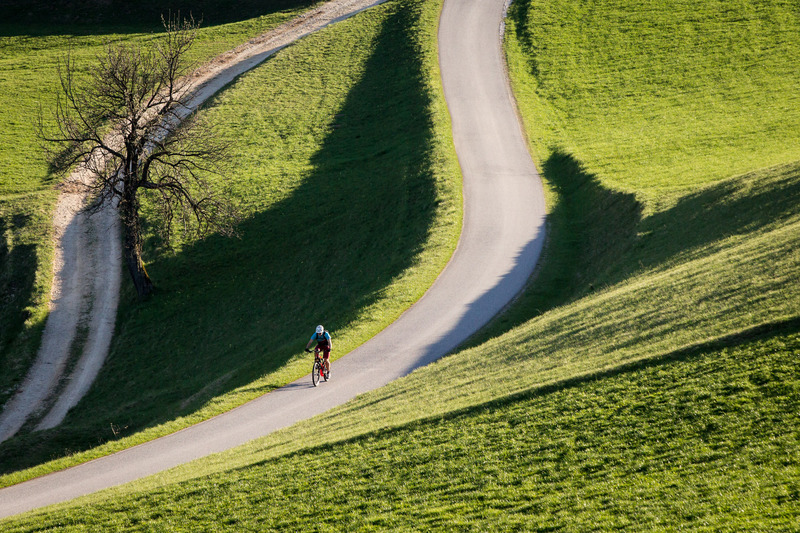 Infected by the relaxed character of the bike and having mentally shifted into cruising mode, even the longest climbs don't look so intimidating anymore. 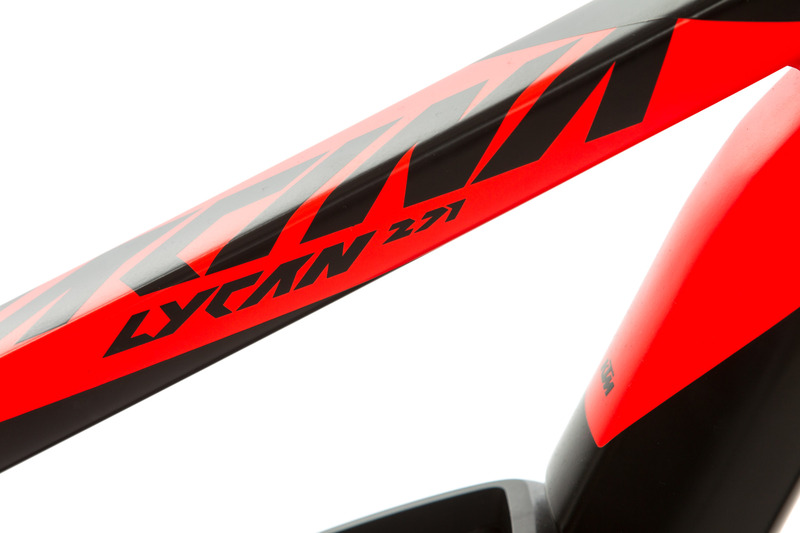 Having said that, the Lycan 271 isn't lacking a healthy touch of sportiness. 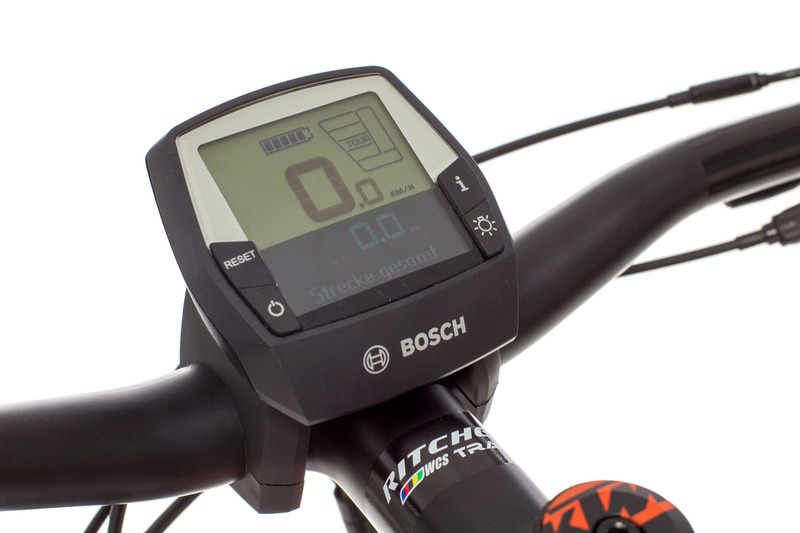 While the Bosch drive already overcompensates the Macina's extra weight on the lowest setting in Eco mode, depending on the incline and choice of engine support you can work up a sweat if you want to. The only thing you have to get used to is the slightly low cadence that correlates to Bosch's system. 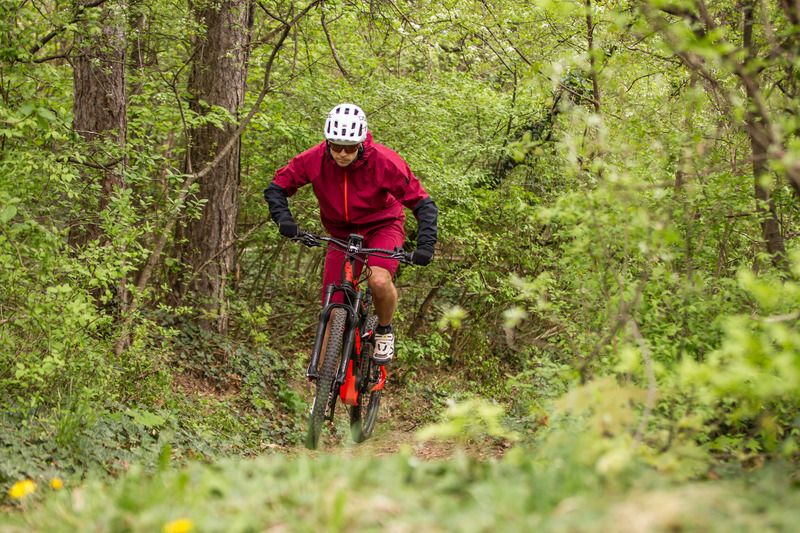 Riders new to e-bikes will also have to adapt, as trail sections that have formerly been limited to gravity-related downhills, suddenly become relevant to going up as well. 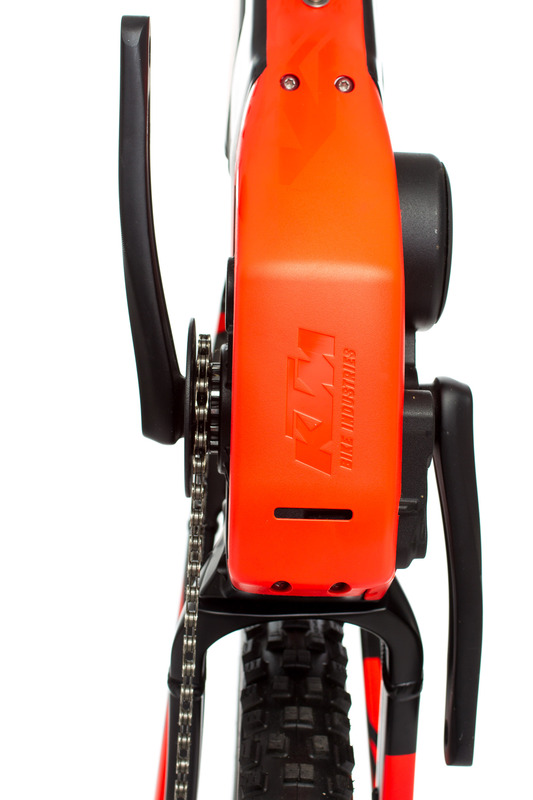 Especially on hard-packed even ground, there's no stopping the KTM. By sliding a bit towards the nose of the saddle you can build up a lot of pressure over the front wheel. The rest - depending on which mode is selected - is taken care of by the electronics. 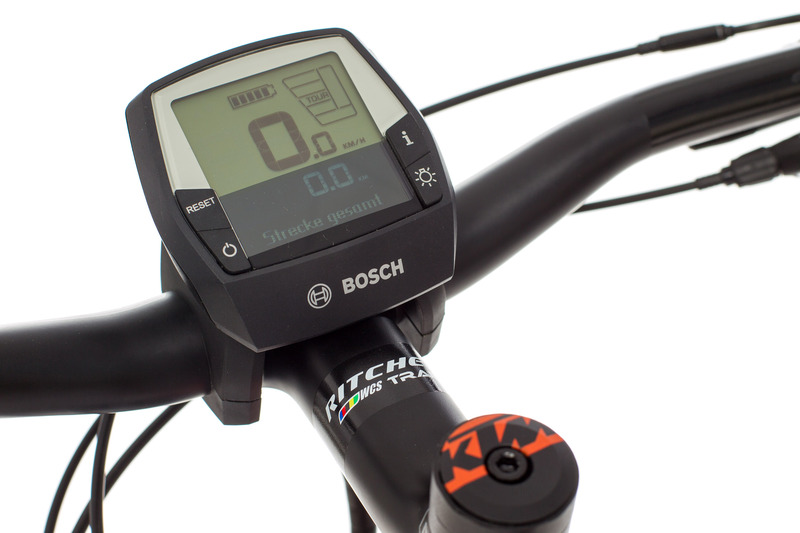 With a fully charged battery, it is realistic to pedal up to 1.100 or 1.200 vertical meters in Turbo mode. That distance is almost doubled, when nurturing the bike in Eco mode. Only technically challenging situations can stop the forward drive on the way up. Here, the Bosch-produced power and its relatively abrupt activation can turn into a hindrance. Even at the lowest Eco setting the engine output tends to result in wheelspin. 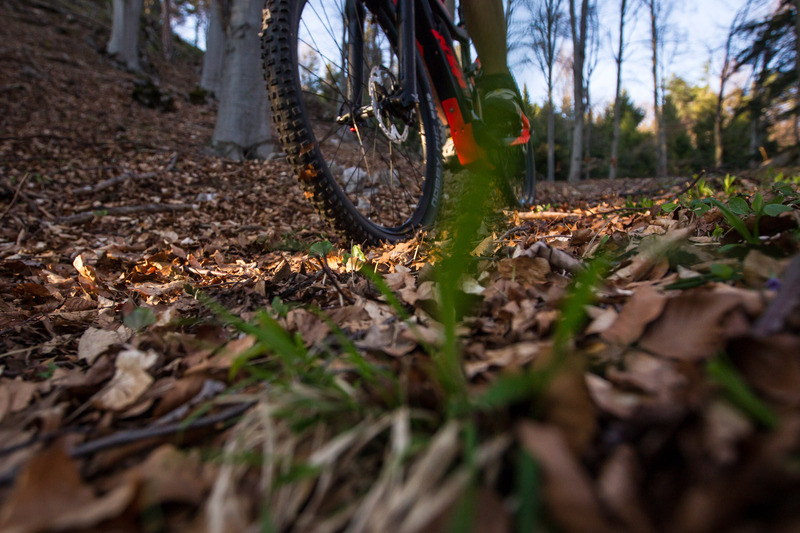 In rooty sections and up onto smaller ledges, you need to keep up a certain speed and constant pressure on the pedals to get around that problem. In particular situations, the ride can even turn somewhat harsh. 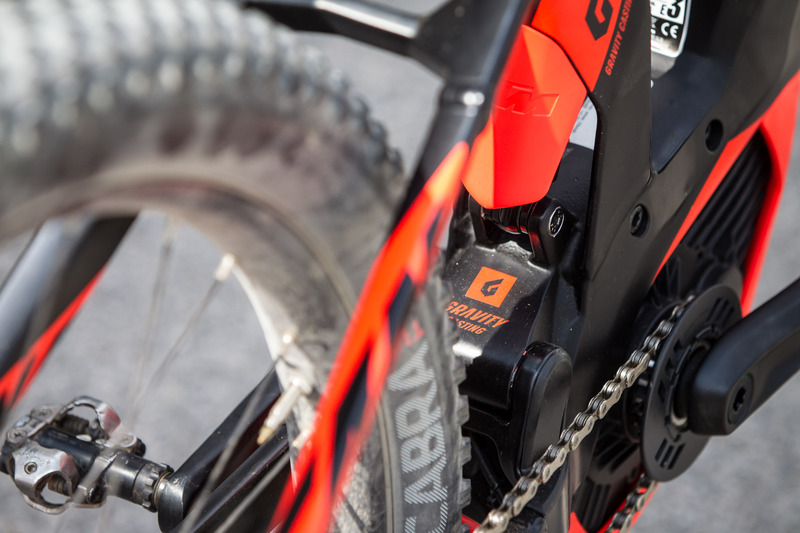 When taking weight off the rear wheel while reducing pressure on the pedals for a moment, in order to keep pedaling right after, the slightly delayed response of the engine often delivers way too much power at the wrong moment. 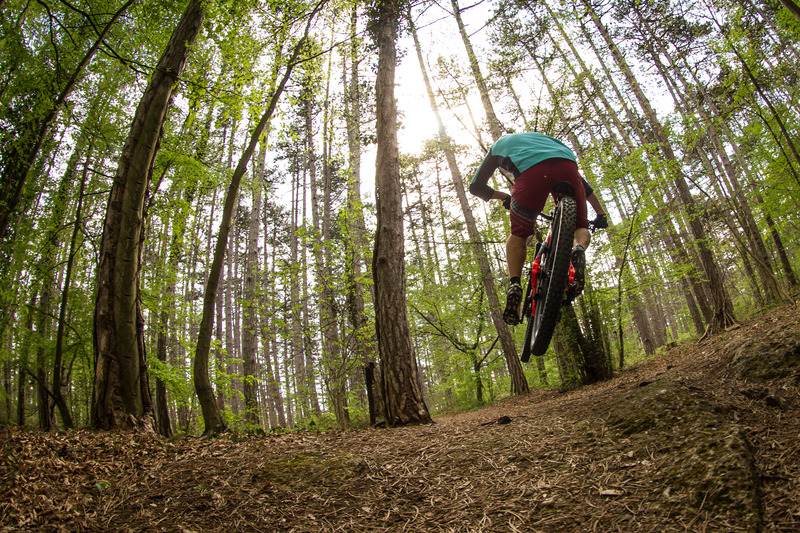 Then it's easy to lose grip and balance, thanks to a wildly spinning rear wheel. It really only turns into an annoying problem in super technical sections or under very wet conditions, but it should be noted nonetheless. ... there's enough space for 2.8" tires. 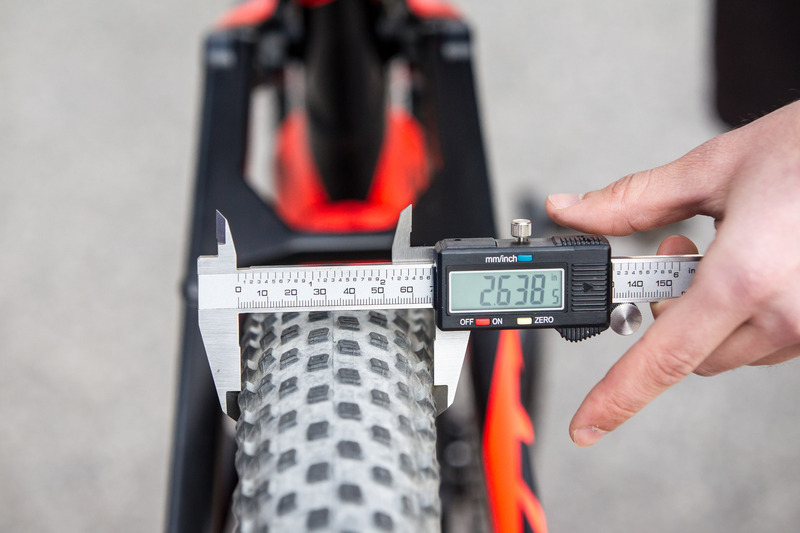 No problem without a solution: While the KTM Macina Lycan 271 is equipped with 27.5" x 2.35" tires we headed out on some runs with Bontrager Chupacabra Plus tires with 2.8" width (actual width is about 2.6") mounted to the bike, that fit the frame and fork without a problem. Especially at the rear wheel we were able to create quite a bit more traction and were able to tackle technical uphills more easily. It came as a bit of a surprise that the Lycan 271 was pretty agile to handle in tight switchbacks. Event though the long chainstays would suggest differently, the 22 kg bike can be pushed through the corners without a fuss. Also, there was nothing to complain about regarding the downhill performance of the 125 mm travel bike. 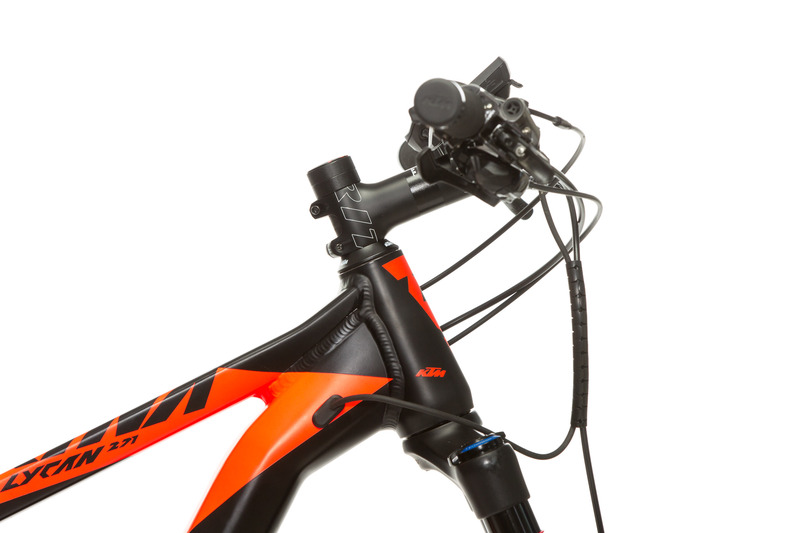 Weight, a moderate head angle and long chainstays deliver a rather stoic stability. Coupled with the Pike and an active rear end that plant the wheels firmly to the ground and track obstacles with aplomb, the Macina delivers a safe and good-natured ride. 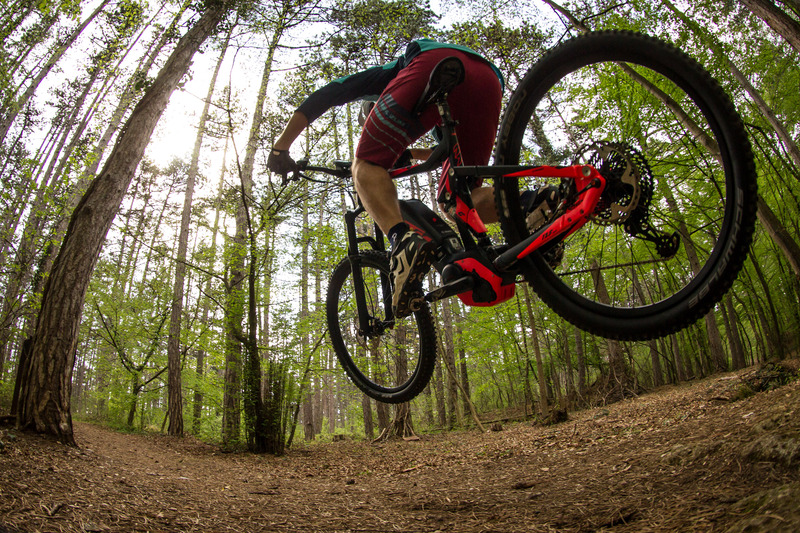 It's easy to catch the front wheel in situations where it breaks loose and steadfast brakes with a high front end raise confidence in steep sections. 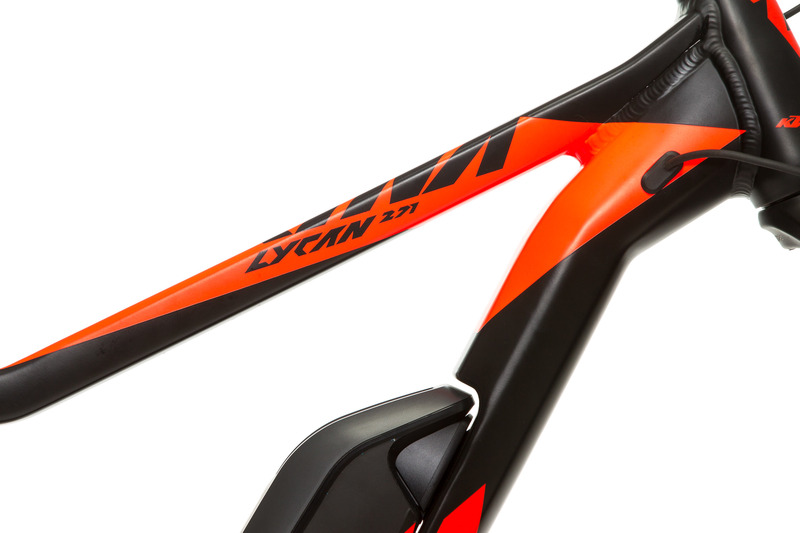 In general, it feels as if KTM's Lycan 271 offers more travel than the numbers suggest. Especially at lower and middle speeds - which coincides with the target group that it's trying to reach - the Macina and its pilot couldn't be more comfortable. Being encouraged by that, you can work on clearing the one or other technical section that might have caused problems in the past. 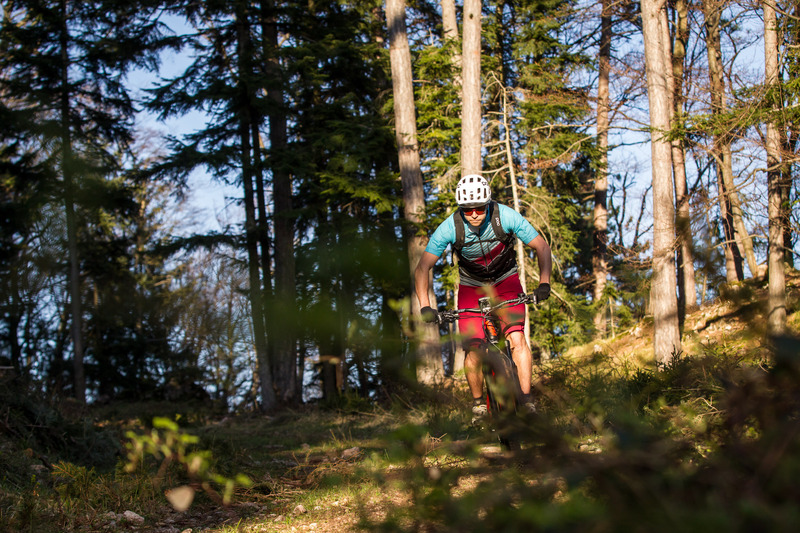 BB-Urteil: Capable trail bike performer for extended rides with reserves on the way down. 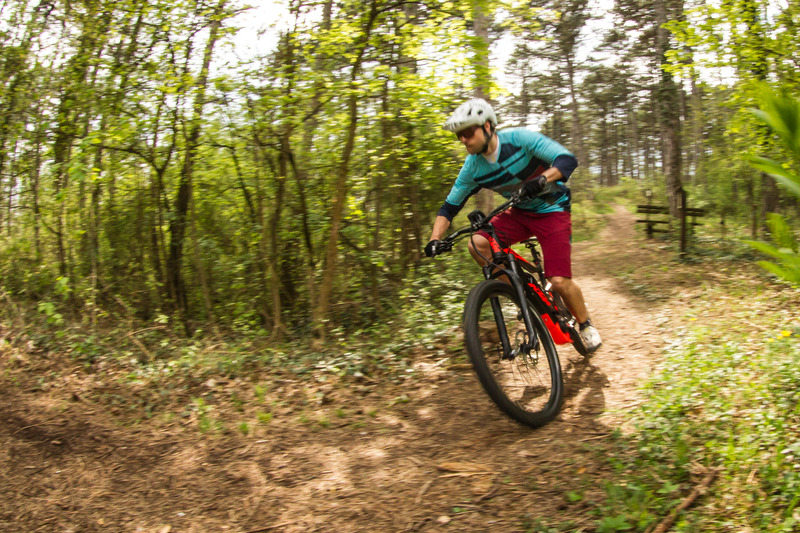 Thanks to the powerful Bosch motor, the relaxed riding position and the forgiving handling, the Macina can live up to its promise of being a well-rounded trail bike. The Macina Lycan 271 is always up for a quick after work lap, a mellow tour or a ride with non-motorized friends who can ride a lot faster. 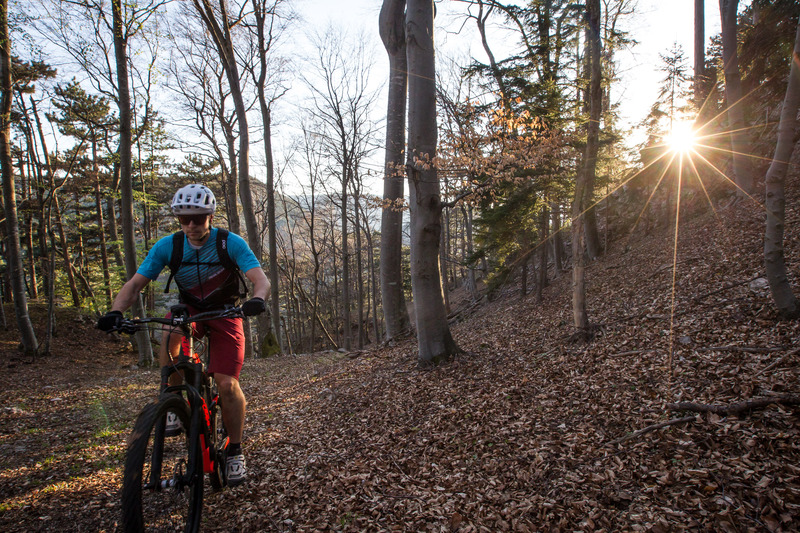 It feels most at home in your classic trail riding environment, and can take the edge off brutal climbs and moderately technical trails. 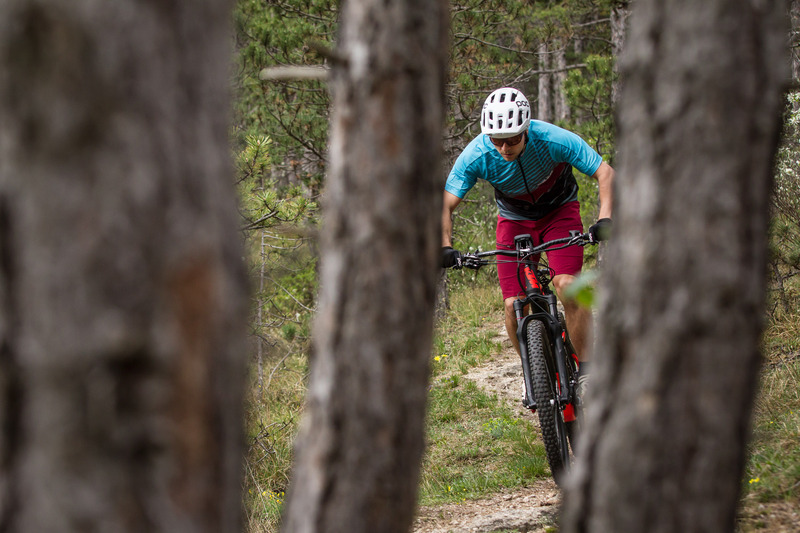 While the high front end is something that requires getting used to at first, it is providing security during steep downhills. 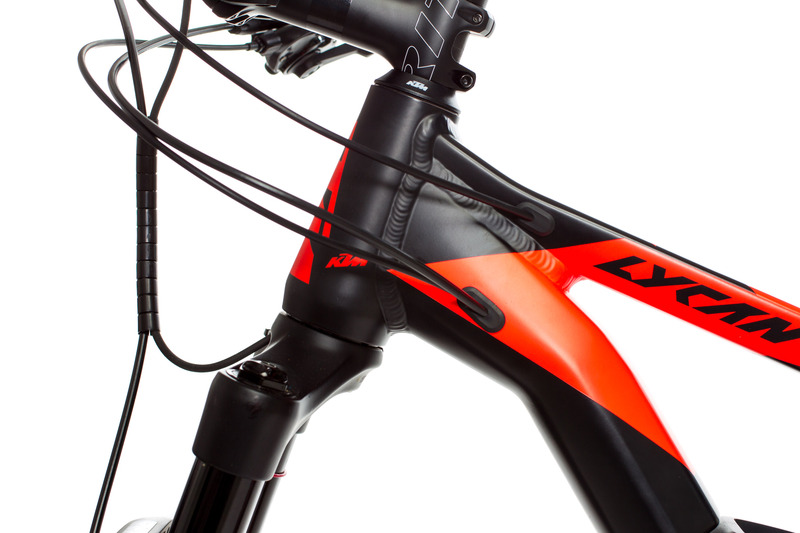 The relaxed geometry, superior Pike and well working rear end smooth out rough terrain. In general, it feels as if your riding with more travel than the bike really has to offer, which gives your self-confidence a little boost. 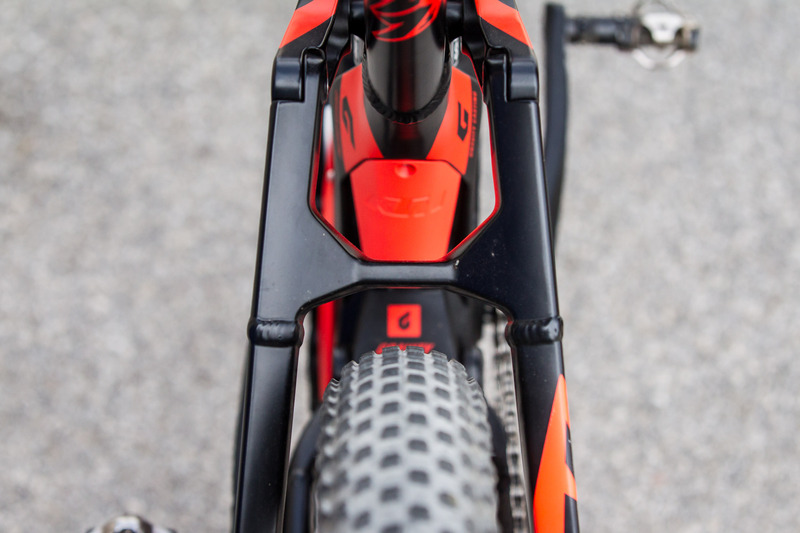 During technical climbs, the Lycan is slightly limited by the abruptly engaging Bosch engine and the narrow tires. An upgrade to plus tires (most models with 2,8" specification - which measure more like 2,6" width in real life anyway - can fit easily) would provide extra grip and benefit its overall performance. After numerous kilometers in the wet, somewhere inside the motor, a seal started squeaking. 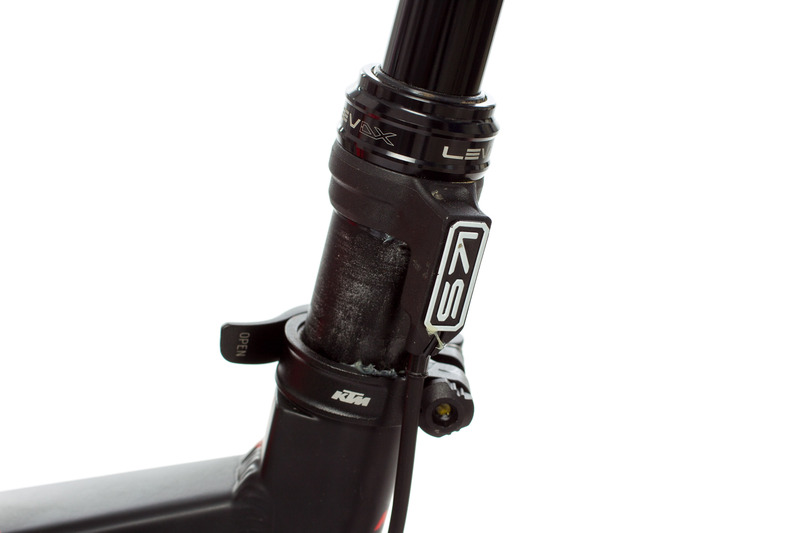 In order to lift, the KS seatpost required a bit of an extra push with you bottom - sounds like a contradiction but it is as it is. It's a bit of a bummer, as we were pleasantly surprised with the ergonomics of the lever and the post's function at first. 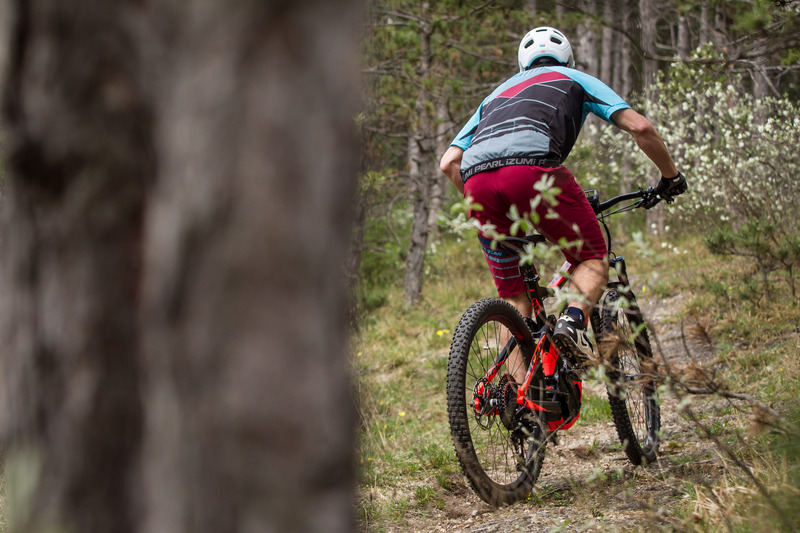 The bottom line is, that the KTM Macina Lycan 271 will serve the classic trail bike rider - who is looking for some additional drive up the hill - well. In situations where a descent turns out to be more difficult than to be expected, the Macina won't let you down. 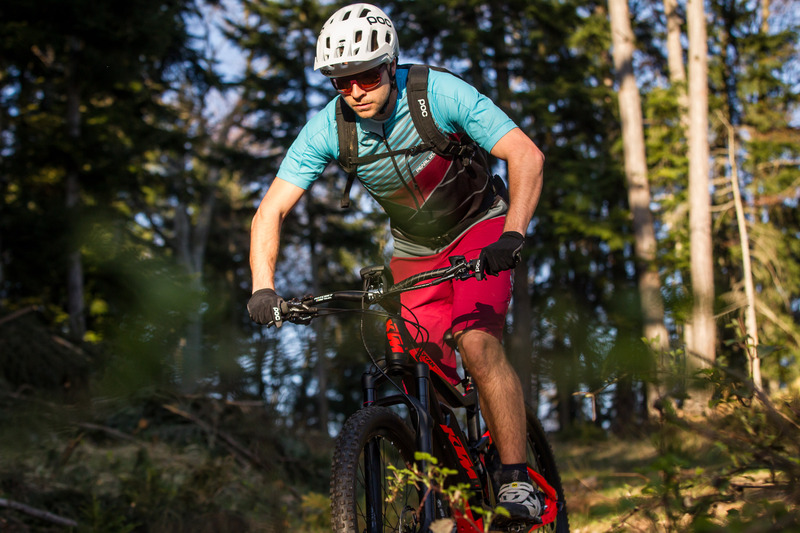 It's best suited for the regular rider who enjoys a relaxed ride on terrain stretching from fire roads to fun-to-ride trails with average difficulty.